The Aquamira Bottle CR-100 Capsule Replacement is obsolete and no longer available. We apologize for any inconvenience. 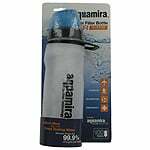 The Aquamira Bottle CR-100 Capsule Replacement is a replacement capsule filter for the Aquamira Water Filter Bottle with the BiteMe valve. The CR-100 capsule filter reduces chlorine, bad tastes, and odors, as well as over 99.9% of Cryptosporidium and Giardia, which can cause illnesses. 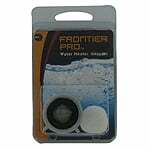 This capsule water filter offers a 100 gallon capacity and prevents cross contamination through a rigid design. 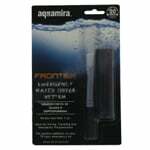 In addition, the Aquamira 67001 replacement filter is easy to install and arrives in a compact design for versatile use.